Kilfenora will stage its second attempt at the Guinness World Record for the largest Irish traditional céilí band ever this Sunday (27 April). 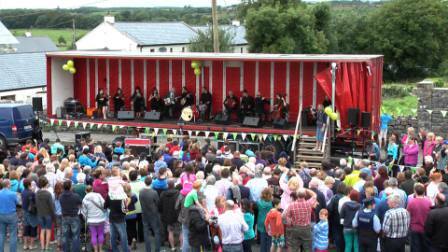 Organisers are hoping to exceed the figure of 187 musicians that gathered in the North Clare village last August. Members of the public are invited to bring an instrument to Kilfenora’s Square with registration beginning at 1pm. There will be a practice run-through of the Kilfenora Jig set before the Kilfenora Céilí Band leads the musicians through the formal attempt at 2.30pm.